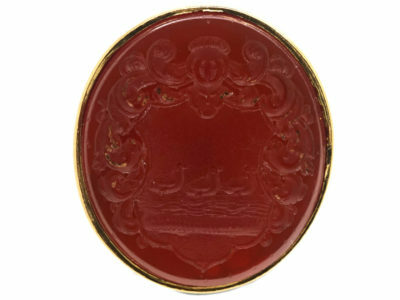 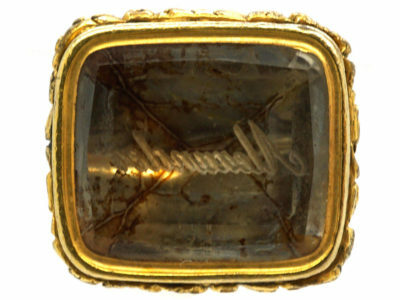 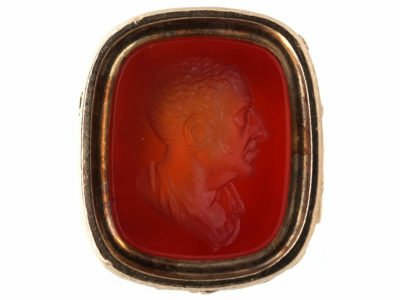 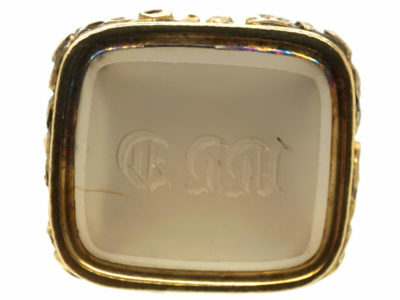 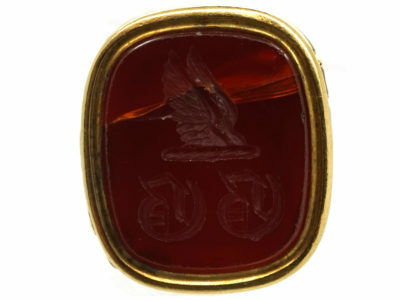 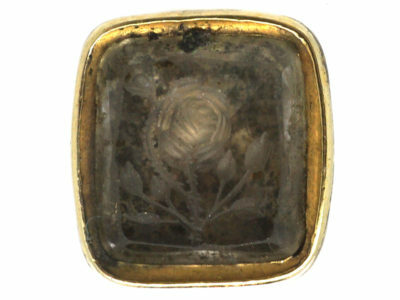 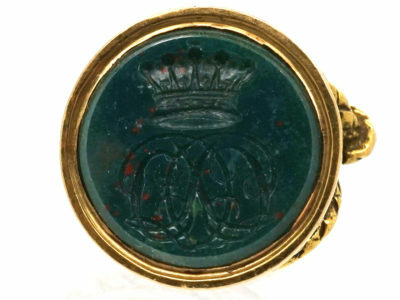 A stunning early Georgian 18ct gold seal that was made circa 1760-1780. 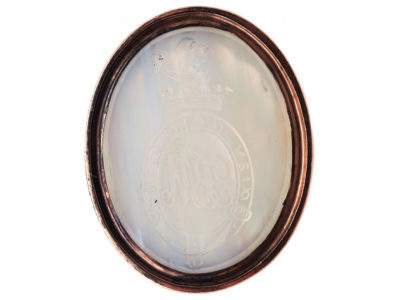 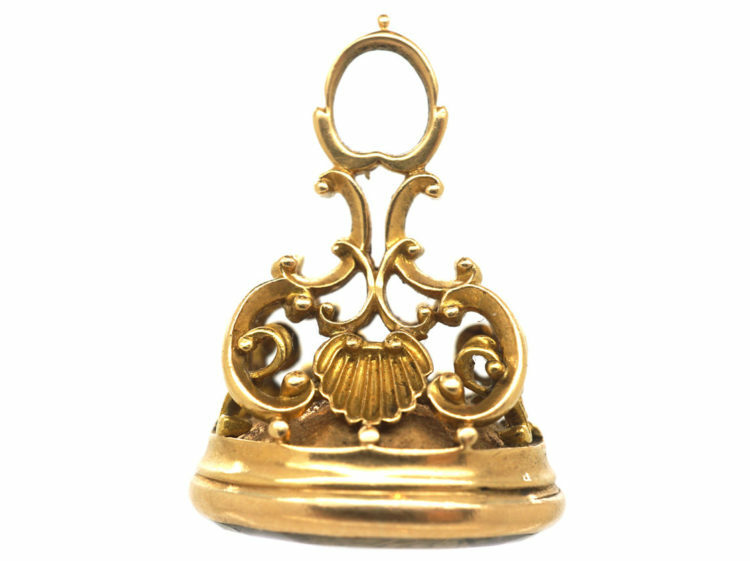 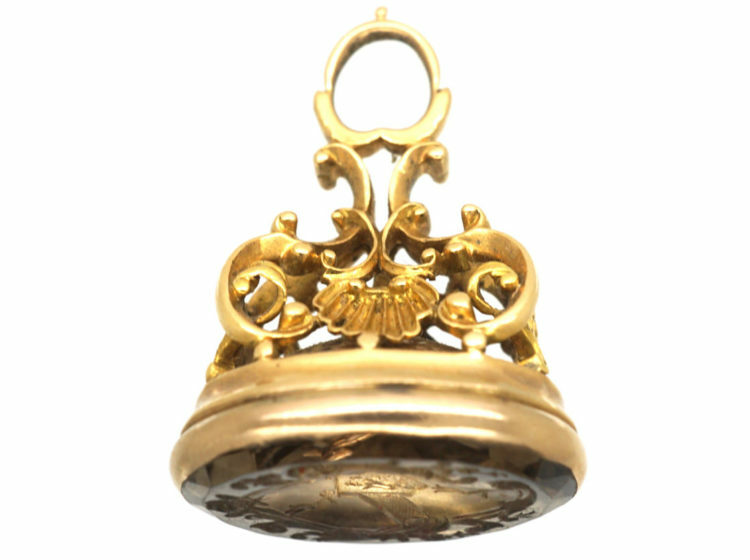 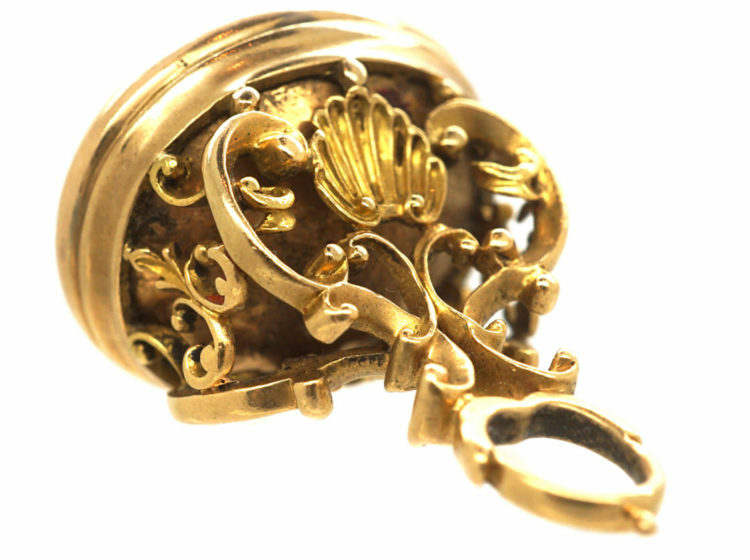 The top is finely modelled with a shell on either side. 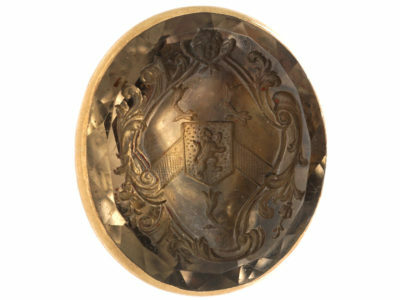 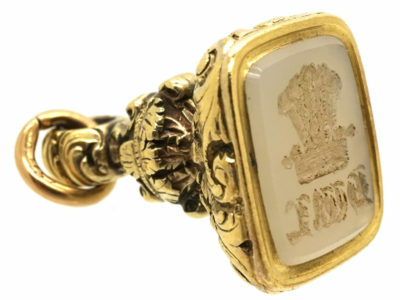 The citrine has a deep cut intaglio of a family crest with a lion rampant in the centre. 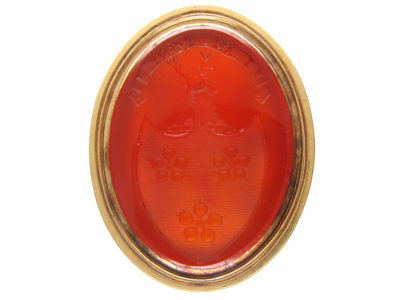 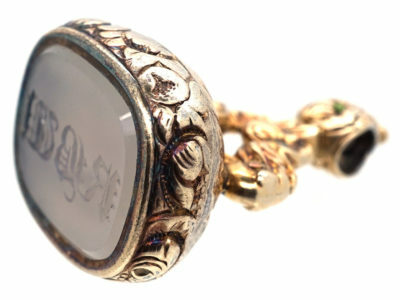 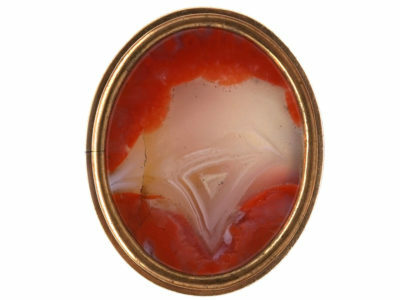 These seals look wonderful worn on a chain on their own, or with other pieces.